InLoCo supports stable food prodution by guiding from installation of plant factory, operation, to sales of products. This plant factory enables to deliver exceptionally fresh food to customers by growing, harvesting, and selling products at the same place. 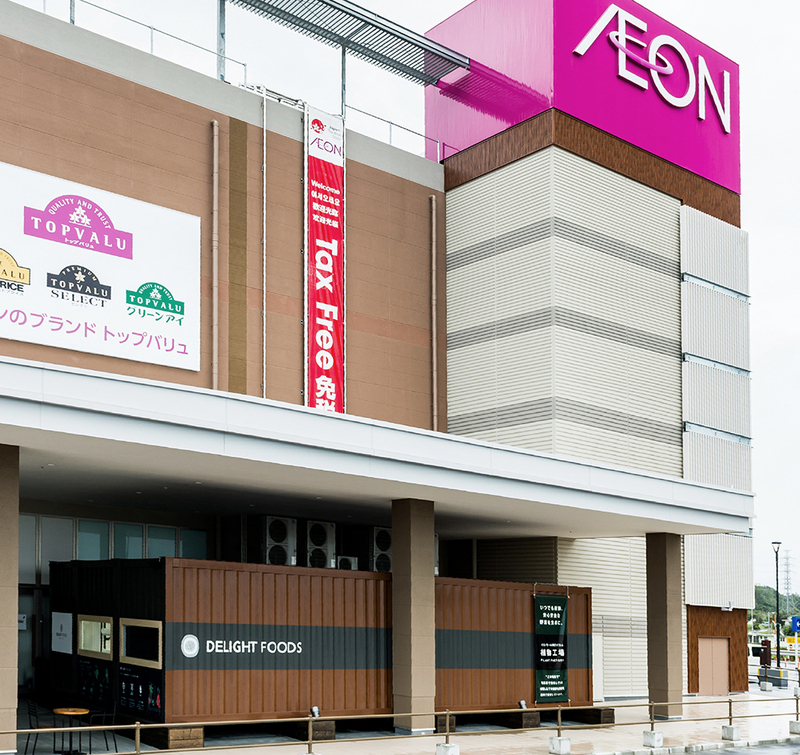 Aeon Mall Okinawa Rycom, the largest shopping mall in Okinawa opened in April 2015, introduced the plant factory under a theme of food entertainment. Exceptionally fresh vegetables and salads harvested and manufactured in this plant factory are sold as Delight Foods brand. Adding value by emphasizing freshness. 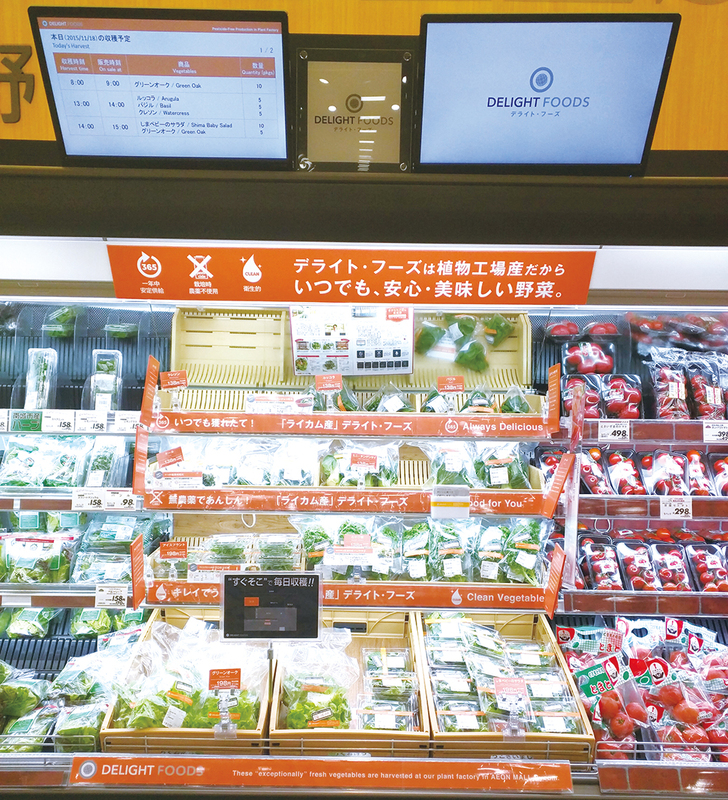 Daily harvesting schedule can be checked on a monitor screen set at the sales floor. This one-of-the-kind freshness is something Delight Foods customers most enjoy on top of merits of plant-factory grown vegetables such as clean, safe, and free of pesticides. 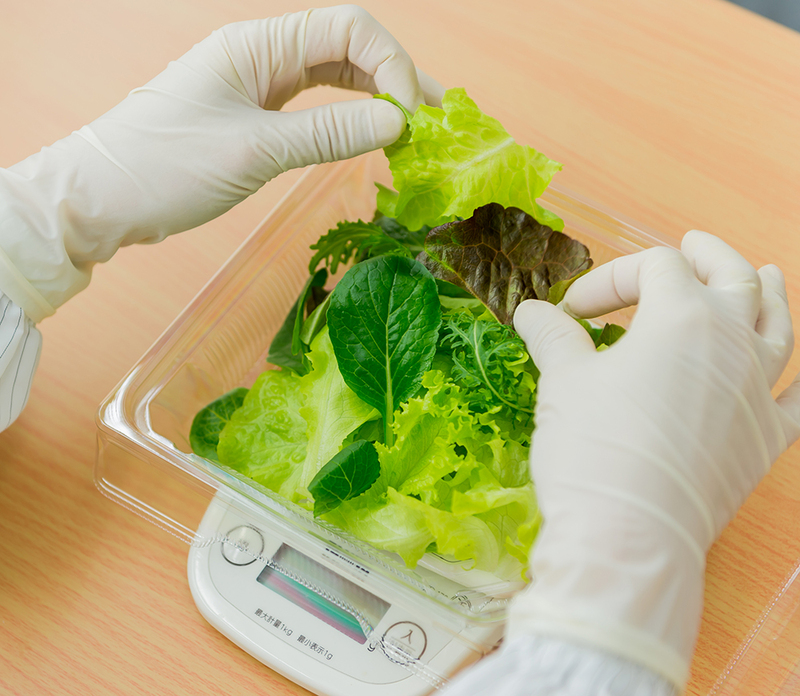 Each vegetable is labeled with its harvested date and time, which enables customers to choose the freshest produce any time. Adjusting harvest, depending on what’s left on the shelves. Delight Foods staff checks the sales floor frequently to determine how many to harvest. This system enables to put out the freshest produce on the shelves all the time and cut down waste of produce from excessive harvest. Reflecting real voices of customers through in-store food sampling to develop new products. 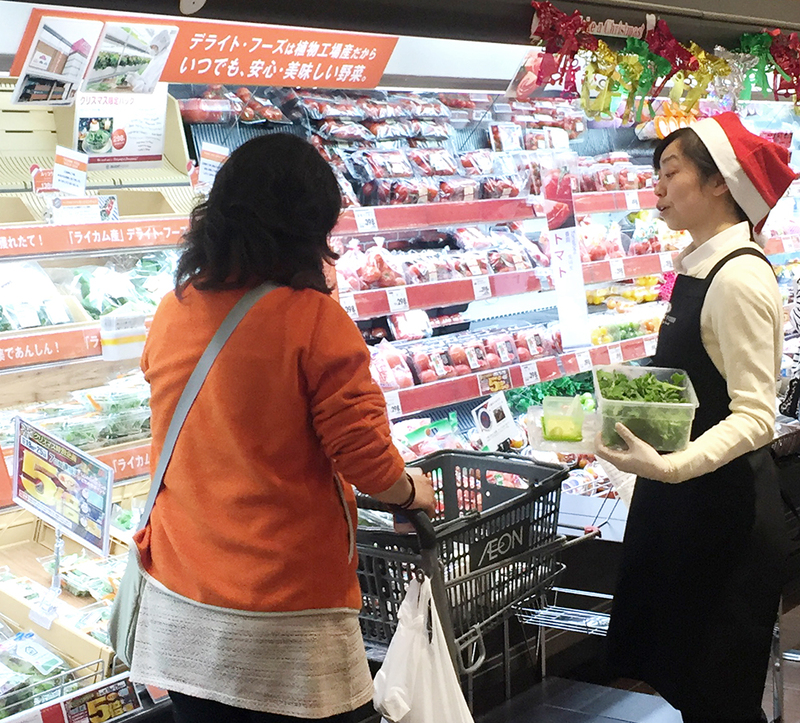 In-store food sampling is carried out to promote our fresh vegetables. Delight Foods values customer's opinions through the food sampling to develop new products and plan events to meet their needs.